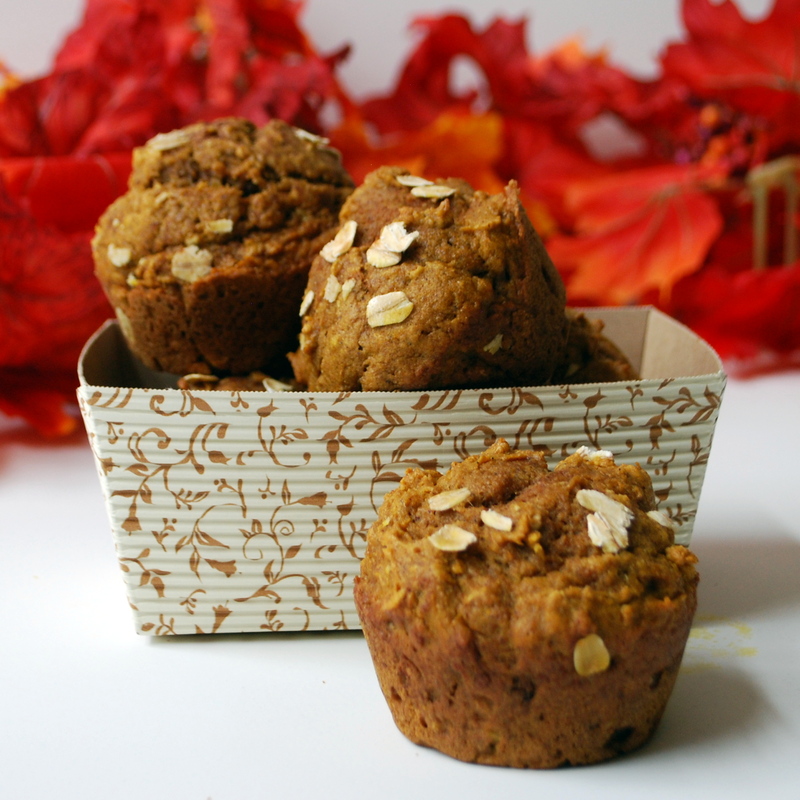 Clean, Dairy-Free Banana Muffins or Mini Muffins. UPDATED 7/11/17 (ooh! A palindrome!) with gluten-free option. My friend Jessica is the first person I go to for clean recipe ideas–if I’m in a rut or just haven’t found a version I love yet of what I’m looking for. So today, when I noticed I had 4 bananas browning on my counter, and every other clean banana recipe I’d tried had come out completely flavorless, I went straight to her–halfway across the country. And as usual, we’re all full and happy over here. Isn’t food great that way? I love that even when miles and miles separate us, we can still gather together and keep in touch through good food. This is a Martha Stewart recipe thoroughly substituted with clean ingredients. You should end up with up to a dozen and a half standard-size muffins, close to 3 dozen mini-muffins, or, like I did, a full pan of regular muffins and a half pan of minis. * GLUTEN-FREE: Substitute 1 cup brown rice flour, 1/4 cup tapioca starch, 1/4 cup potato starch, and 1/2 cup oat flour (I just put some oats in my blender, pulse them to a fine powder, and pour them in a mason jar for future use). ** Sour your almond milk the same way you make buttermilk: for every cup needed, add 1 Tbsp. of white vinegar to a measuring cup and fill the rest of the way with milk and let sit sit several minutes. In this case, add 1/2 Tbsp. of vinegar and then fill to the 1/2 cup line with almond milk. Preheat oven to 350. Grease your muffin tin(s) with soy-free cooking spray (I use PAM for Grilling). Peel bananas and add them to the bowl of your stand mixer. Use the paddle attachment to beat until well mashed, about a minute. Add coconut sugar, coconut oil, applesauce, and egg and beat until smooth. Add dry ingredients to bowl; mix on low until well incorporated. Add soured almond milk and vanilla; mix until well incorporated. Scoop scant 1/4-cupfuls for standard muffins and/or 2-Tbsp.-fuls for mini muffins (dough scoops work really well here) into the wells of your muffin tins. Bake 20 minutes for mini muffins or 25 minutes for standard muffins, rotating pans halfway through cooking time. Cool on a wire rack before enjoying. Store in an airtight container on the counter or freeze to enjoy later! I love Christmas traditions! Tonight we put on our Christmas PJs, made some caramel popcorn, and turned on one of our all-time favorite Christmas movies, White Christmas. My little dancers love to watch the dance numbers, and we all love this delicious caramel corn, which is completely unprocessed, making it a great clean treat that won’t weigh you down like so many other holiday foods. It’s so quick and uses ingredients that you already have in your pantry. Place 1 Tbsp coconut oil in the bottom of a large, deep pot with a tight-fitting lid, preferably with a rounded bottom (a wok works great). Melt over medium-high heat. Add popcorn kernels and cover. Shake back and forth every 20 seconds or so to heat all of the kernels evenly. After a couple minutes, it should start popping. Continue shaking back and forth at intervals. When popping slows, remove heat immediately. Pour into a large bowl. In a small saucepan (or in the same big pot if you’re lazy like me), add remaining coconut oil, maple syrup, and salt. Bring to a boil and boil for 2 minutes. Remove from heat and stir in vanilla. With the new direction we’re taking, I thought I’d go back into some of my old favorites and bring them back in our new light. All of these are dairy- and other allergen-free, and most are clean and unprocessed. All are delicious and totally family-approved. Sw eet potato pancakes – These are perfect for fall, and for switching things up on the pancake front for breakfast or “brinner.” I recently gave them a clean makeover, and I honestly think they taste better than before! 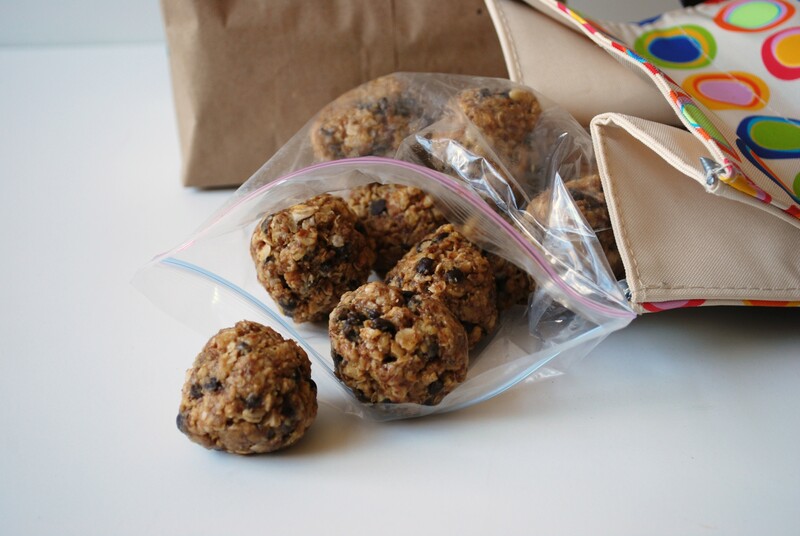 Peanut butter protein balls – A perennial favorite in our house. I always have a batch sitting in the freezer to thaw a few for us to eat. If you have a new mama in your life, these are perfect for quick, easy energy during those ravenous first few weeks of breastfeeding; plus, the flax and oats help with milk supply. 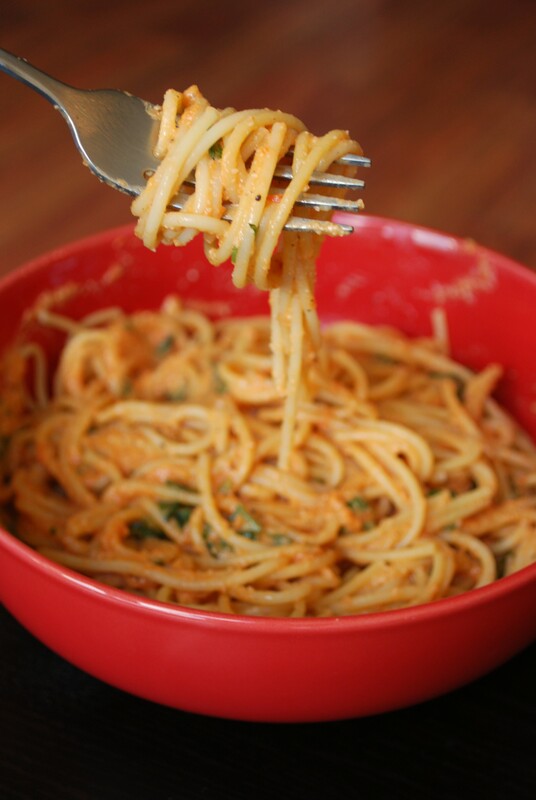 Vegan creamy tomato-basil pasta – “Vegan” used to be a dirty word in our house, but once we got past that, this is quite possibly the perfect weeknight pasta dish, especially when you’re dealing with dietary restrictions. I dial the garlic and basil down from the original recipe and throw a couple handfuls of short pasta into the water with the spaghetti to keep the little ones happy. This was the first meal where my little one ate exclusively “grownup” food! 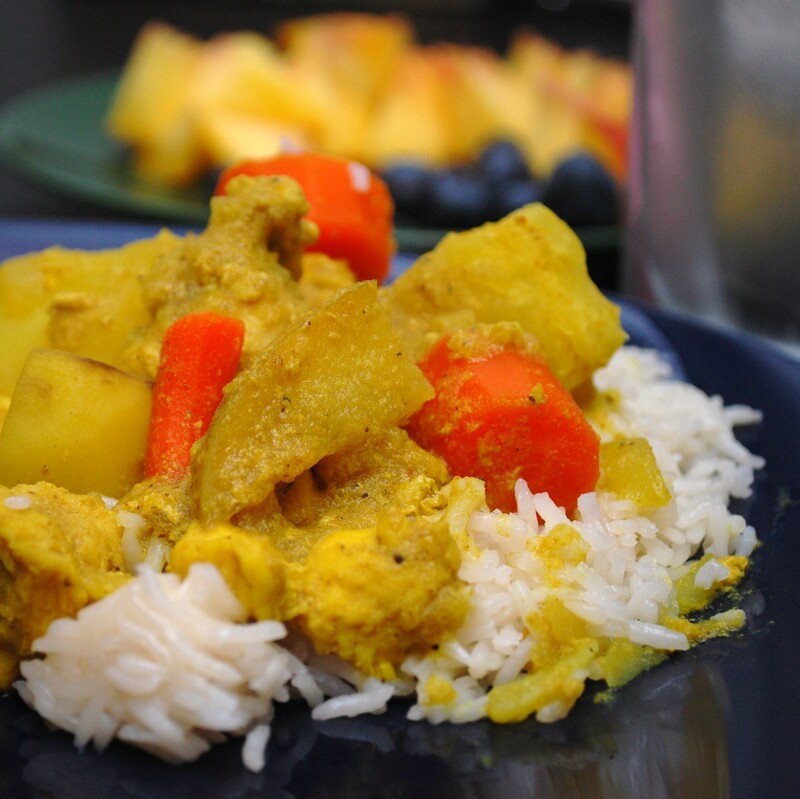 Chicken curry – I seriously love yellow curry. Good thing, because for awhile it seemed like the only MSPI-safe restaurant food in the U.S. was Thai curry! I think my girls got sick of curry after awhile. If you don’t have delicious Thai takeout nearby, this one is easy, delicious, and family-friendly because you can adjust the spices up or down. 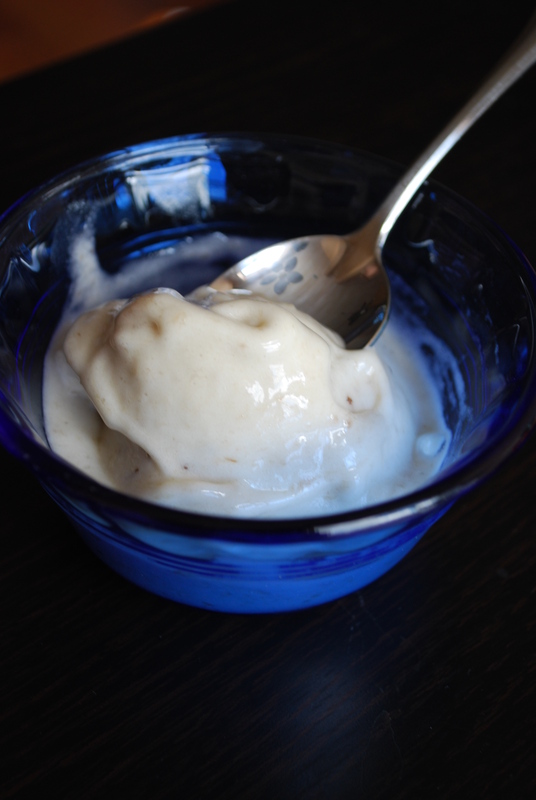 One-ingredient ice cream – Quick, easy, lots of ideas to change it up, and dairy-free! I think this will come in handy as my MSPI baby starts to notice more that sorbet isn’t the same thing as ice cream and wanting some too. 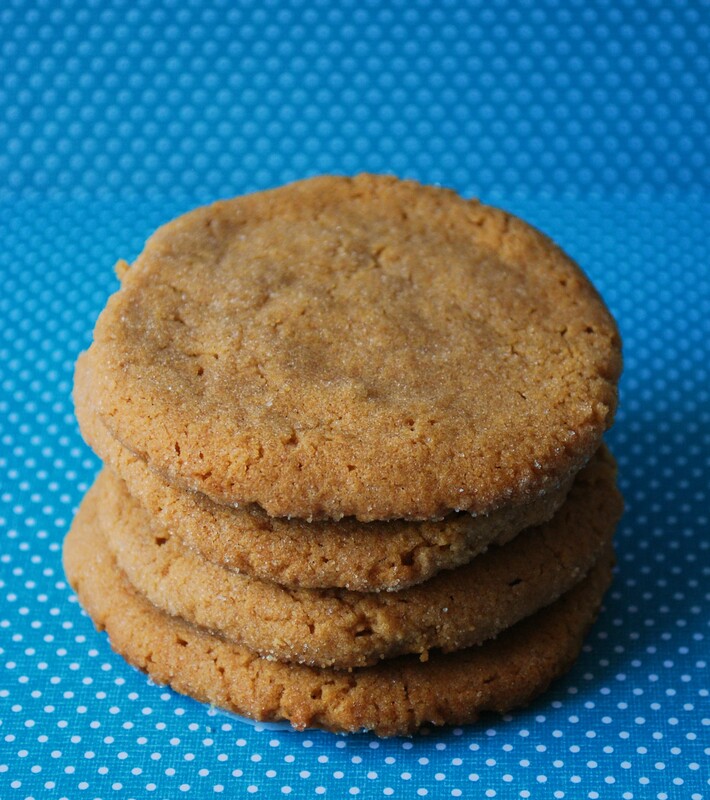 Flourless peanut butter cookies – Sometimes, as a stressed-out mom of a newborn, who felt like I couldn’t eat anything, ever, I just needed a treat. Or several. Dairy-, soy-, and gluten-free, these fit the bill for dietary-restriction-sufferers. And the protein was great for nursing! My 4-year-old’s preschool asks parents to pack healthy snacks that feature at least 2 food groups. This being my first year packing anything resembling a school lunch, of course I’m going over the top looking for fun, healthy snack ideas she’ll eat. This has been my first great victory: they’re easy, she loved helping me make them, they travel well, they’re not messy, & even My Husband The Suspicious Of Anything Labeled “Healthy” gave them his stamp of approval. UPDATE: This is my new go-to to take to new moms. The oats and flax are great for breastmilk supply, and the quick energy is awesome for those early weeks of nursing All. The. Time. Combine all ingredients in a large bowl, mixing gently to not crush the cereal, until well coated. Use a tablespoon or soup spoon to scoop out tablespoon-sized portions & roll them into balls between your hands. Place them on a parchment- or waxed-paper-lined cookie sheet. Refrigerate for 1-2 hours. You can serve them now, or place them in a Ziploc bag in the freezer to portion out in your kids’ lunches. They’ll keep a week in the fridge or a few months in the freezer. * If you want to keep it 100% clean, use a less-processed brown rice cereal, or sub 2/3 cup more of quick oats, and use fresh-ground peanut butter (though that will make it much harder to mix) or another brand of jarred peanut butter that doesn’t contain refined sugar. ** For dairy- and soy-free, use Enjoy Life brand chips. I’ve missed sharing ideas with people! I’ve decided to set a goal of posting at least once a week. Now that The Mini-Munchkin is about the same age that The Munchkin was when I started this, I feel like I can take the time to set up more good photos & write some more. Though the girls are so big now, I don’t think I could call either of them Munchkin anymore. 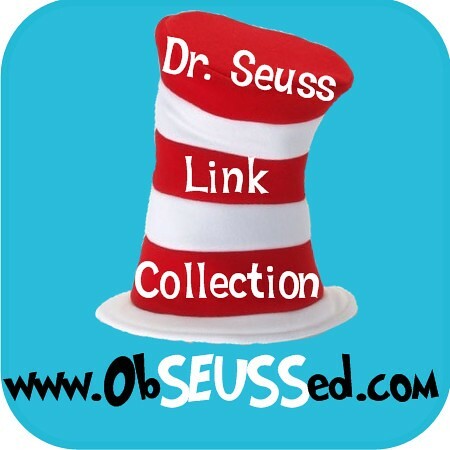 I’m currently accepting nominations for new aliases for my 4- & 1-year-olds. But so that I don’t bite off more than I can chew, let’s start with something easy, shall we? This ice cream has one ingredient: bananas. It’s easy to make. It’s fat-free, sugar-free, dairy-free, gluten-free, vegan, & delicious. Just take about 1 ripe (but not banana-bread ripe; I made that mistake this first time. Think still yellow.) banana per person, cut them into thirds or quarters, & freeze. I just stuck mine in a Ziploc baggie. After a couple of hours, remove them from the freezer, stick them in your blender or food processor, & pulverize. The “snow” setting on my Breville worked like a dream. After a couple of minutes, you should see smooth, soft-serve-looking “banana swirl.” That’s it! Why does this happen? Bananas have high pectin levels. Pectin is the gelling agent that you add when you make jam. It acts as a stabilizer to create that creamy texture. Mangoes apparently also have high pectin levels & would likely produce the same effect if frozen & blended. This is a great treat for summertime. We made ours to refuel after gymnastics, but I’m thinking one morning I might top it with fruit & granola & serve “ice cream” for breakfast, just to shake things up a bit! What do you think of that?